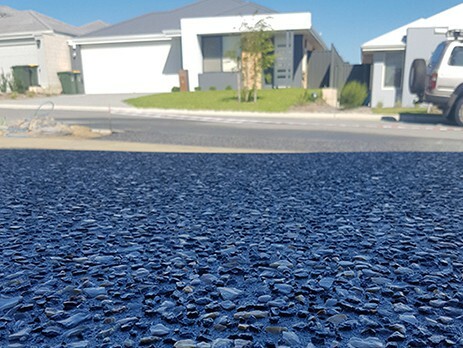 How long do I have to wait until my concrete job is finished and the concrete has dried? When will I be able to walk and drive on the concrete? You’ll find the answers to these questions in this in-depth guide. How Long Will A Concrete Job Take To Complete And Cure? When you’re ready to install a new concrete driveway or patio, you want it installed as quickly as possible. Unfortunately, laying concrete is a very delicate process that requires meticulous care and extreme precision. If the concrete contractor makes any errors along the way, your concrete is going to experience problems very early on. So, they’ll work slowly and tediously to ensure that everything is absolutely perfect. How long will it take before you can begin walking on the concrete? This question will be answered below. Whether you’re laying the concrete yourself or you’re working with a professional, it is vital to take your time. Laying concrete is a long process compared to many other home improvement projects. It is important to slow down to ensure that everything is accurate. Then, it is essential to keep everyone off of the concrete, until it is actually ready to be walked on. If you’re going to lay the concrete on your own, you should be prepared to work slowly. Do not rush or you’ll probably run into problems in the near future. Trying to determine the actual amount of time that it will take for concrete placement is nearly impossible. However, concrete contractors and companies have more experience and can provide you with an estimate. If everything goes as planned, the project will go off without a hitch. Of course, this is hardly the case. It never hurts to be prepared for roadblocks, because they are always a possibility. One of the first things you will need to do is decide if you want to mix your own concrete or purchase ready-mixed concrete from a licensed concrete company. DIY concrete placement will take a lot longer than hiring contractor. There are so many steps included in the project that will require physical labour and if you do not have the proper equipment, delay will be inevitable. Mixing concrete by hand is an extremely tedious and time-consuming task. You will be required to mix one 40-pound bag of concrete at a time, which will typically fill approximately .6 cub feet of space. To speed up the project, you should rent a portable mixer. Most regular individuals don’t realize it, but the truth of the matter is that concrete never actually stops curing. 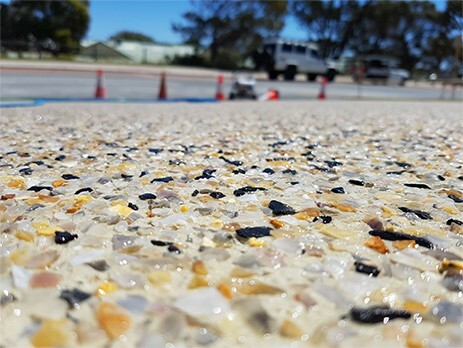 With that being said, once concrete reaches its full strength, which is usually around 28 days, the curing process becomes so slow that it is completely unnoticeable. The reason that concrete never stops curing is because the particles in the mixture will always react to hydration. As long as concrete is in direct contact with moisture of some form, it will continue to harden. Once your new concrete floor is fully strengthened and ready to be walked on, you probably want to preserve the integrity and look of it. Well, there is simply no better way to achieve this than by applying what is known as a sealer. Of course, this is going to make the whole process longer, but in the end, it is well worth the extra wait time. Sealers and coatings go through the same phases as they dry and cure. With that being said, it is important to note that sealers actually cure as the dry, which can take anywhere from 4 to 8 hours for most standard applications. Sealing can definitely be well worth the effort, but you’ll need to be a little more patient if you do take this route. So, how long should you wait before you can actually walk on the concrete? Unfortunately, there is really no universal answer here. Weather can play a huge role in determining how long the job will take. First, it will be impossible for the contractor to lay the concrete when it is raining outside. At the same time, the weather can actually impact the drying process. The duration of the drying process will depend on numerous environmental factors, including sunlight, humidity and wind. It is possible to lay concrete in the rain and cold weather, but special precautions must be taken in advance. If you’re doing it yourself and want to be safe, you are better off waiting for the sun before you begin. After the concrete has been poured and smoothed, you’ll need to wait before you can begin walking on it and driving on it. As mentioned above, there are numerous factors that can actually play a role in determining when you’ll be able to walk on the concrete. However, there are some general answers that are fairly reliable. If everything goes well, the concrete can usually be walked on after one or two days. You should not attempt to drive on the concrete for at least five days. If you want to be totally safe, you should hold off driving on the concrete for an entire week. If you find yourself in a bind, you may be able to speed up the drying process to some degree. However, there are some risks involved. Adding a lower ratio of water is one way to make the concrete dry a little faster. Unfortunately, this can also create problems. If you do not add enough concrete, there is a pretty good chance that the concrete will crack very early on. You can also try adding self-desiccation agents to the mixture. These agents will cause more water to be bind into the paste, but it comes with a risk. Again, the potential for cracking and shrinking is amplified when using such chemicals. Speeding up the drying process is very risky and generally not worth the risk. Remain patient and allow the concrete to dry on its own. This is the best way to ensure that your money and time were not wasted.